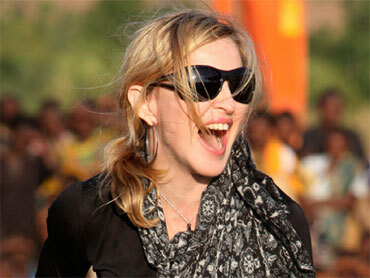 Madonna has arrived in Malawi ahead of her weeklong charity tour. According to an official program released by the pop star's charity, Raising Malawi, Madonna is scheduled Monday to visit the Millennium Village, a United Nations initiative in the central border district west of Lilongwe. Madonna will be joined by economist Jeffrey Sachs, a development affairs expert and mentor of the initiative. On Tuesday, she will lay the first brick of her Raising Malawi Academy for Girls, signalling the official commencement of construction of the $15 million academy, set to open in 2011. Madonna has pumped millions into this impoverished southern African country and become very active in charitable efforts; she has also adopted two children from Malawi.